Get Ready for the TASTE OF MARCO! Featuring live entertainment, 50/50, Give-Aways, Kids Games, Free Parking, Boat Slip Available and a wide variety of the best food on Marco Island. WITH SPORTS & SPECIALTY CAMPS! Every child should experience summer camp. . . Send a kid to camp! Give a kid the BEST.SUMMER.EVER! Join the Marco Master's Swim Club Today! Want to practice swimming with a team? All levels welcome! Starts May 7th! APRIL 25th is the YMCA HEALTH & WELLNESS FAIR! Free Access to all kinds of Health Professionals! Don't miss it 8:30 am to Noon! HEALTHY KIDS DAY IS COMING! Awaken summer's imagination! It's a pool party from 10 am to Noon on April 27th! SWIM LESSONS ARE AVAILABLE NOW! Sign Up Today for a Night to Remember for the Queen and Her Prince! Members can activate 24-Hour Access for FREE! Non-Members can join the "Night Owl" program. Stop by the Welcome Center for additional information. At Marco Island Charter Middle School. Join us on the 1st and 3rd Friday of each month ~ 3:15 - 5:00 PM SPONSORED BY FAMILY CHURCH AND THE MARCO YMCA! Lunch for our Friends Over 60- Now Wednesdays at Marco Lutheran Church! New location and new dates! Just for our friends 60 and better on Marco Island, Goodland and Isles of Capri! Free lunch, entertainment and food pantry at the Marco Lutheran Church. Starts at 11am! FEELING TIRED? DEPRESSED? LOOKING FOR A MORE RELAXED STATE OF MIND? Attend the Creating Greater Health Series of Workshops at the Y! Register at Member Services today! Our Voice Most Recent Issue! Keep up with the latest Marco Y news and events! -Keep schedules, events and program and even construction info in the palm of your hand with our Greater Marco Family YMCA app. Click on Google play button for Android phones or on App Store for Apple phones. 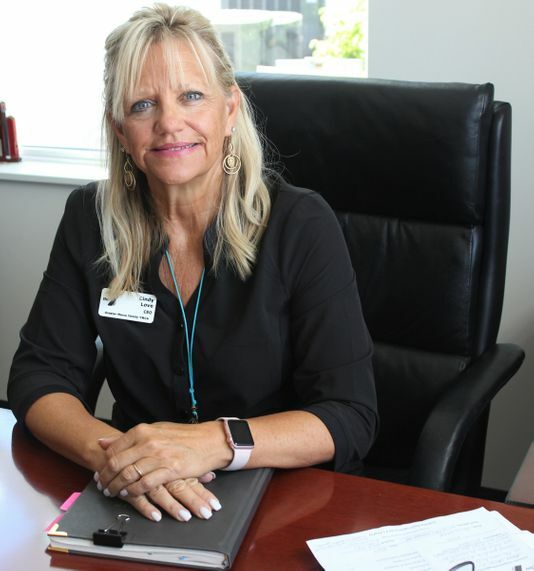 “We are one of the primary human service organizations providing support for all ages and all income levels throughout southern Collier County including the City of Marco Island and surrounding areas, says CEO Cindy Love-Abounader. Click below to receive timely news, offers and info from the Greater Marco Family YMCA via the Our Voice Newsletter that comes out bi-monthly! We’re growing! We are providing valuable services that are in demand, which means that our campus gets tighter and tighter and tighter. Renovation and expansion are here. November 1, 2018 Committed to turning her early learning (pre-school) students into little starts in preparation for kindergarten, Kelly O’Connor has just been recognized as a star in her own right. . .
Error: Error validating access token: Session has expired on Sunday, 31-Mar-19 08:09:32 PDT. The current time is Thursday, 25-Apr-19 17:19:03 PDT.